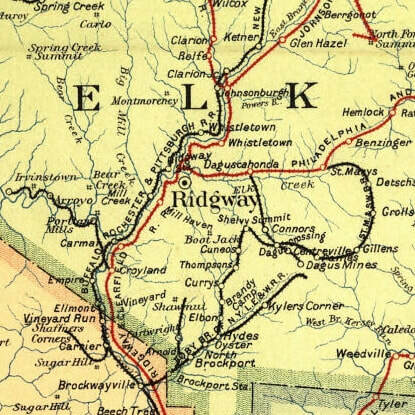 The Elk County Historical Society is located in the heart of Ridgway, Pennsylvania, the County Seat of Elk County and a National Historic Register District. The Society will reopen for the season on Tuesday, April 30. ​The Elk County Historical Society's Robinson Museum and research rooms are conveniently located off of U.S. Route 219, which runs north to south from West Virginia to Buffalo, New York.